Teacher of the Month: Dave LaFave! You are here: Home » Blog » Teacher of the Month: Dave LaFave! April 6, 2018Blog, UncategorizedComments Off on Teacher of the Month: Dave LaFave! Here is a short Q&A we did with Dave LaFave! Q: List 5 adjectives to describe yourself. Q: Where did you attend college? What was the most rewarding part of attending that university? Q: What made you decide to become a teacher? A: The teachers that made an impact on me when I was in school. Q: What are your interests outside of the classroom? A: Big football and basketball fan. Q: What is your most memorable highlight and/or accomplishment as a teacher? A: I’m only about seven months into my teaching career, so probably this. Q: What do you hope your students remember most about you as a teacher? A: That I took the time to learn who they were as individuals and that I was always willing to share a laugh with them. 5th grade. With parents in North Carolina having the freedom to choose – tuition free – where their children are educated, Douglass Academy is a public charter school that draws nearly 200 students from the greater Wilmington community. 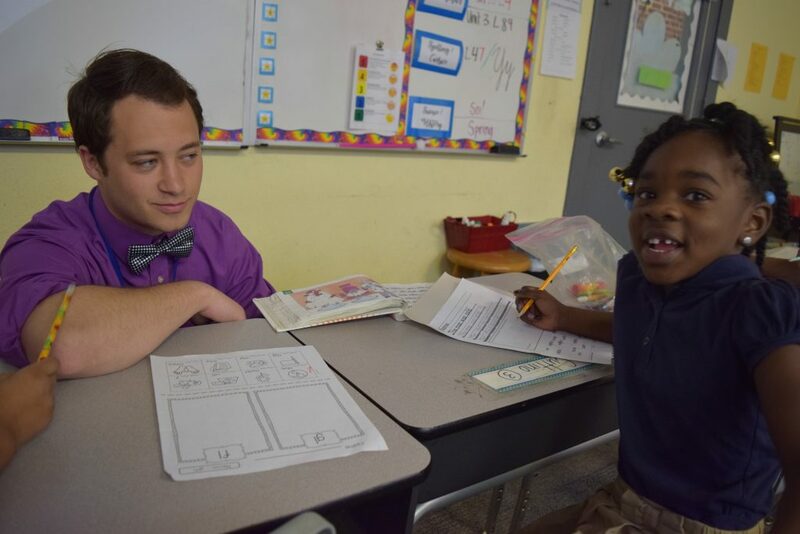 Douglass Academy is one of four public charter schools managed by The Roger Bacon Academy, Inc. The schools include Charter Day School in Leland, Columbus Charter School in Whiteville, and South Brunswick Charter School in Southport. Douglass Academy is a tuition-free, public charter school that welcomes all students, regardless of income, ability, or address, and provides free transportation and meal services. To learn more or enroll online, please visit www.douglassacademy.net.